it is so hard to take a photo of yourself without looking at the camera. also, fun fact! The eyeliner you can’t even see in this photo was just black eyeshadow, also applied with the Etude House brush. My facial features are on the small side, so the thick, “natural” brow trend never suited me (quotes because my brows in their natural state barely exist at all). Instead, I’ve always been more drawn (heheheheh sorry) to the super sculpted look – Zoetica Ebb is one of my brow idols. 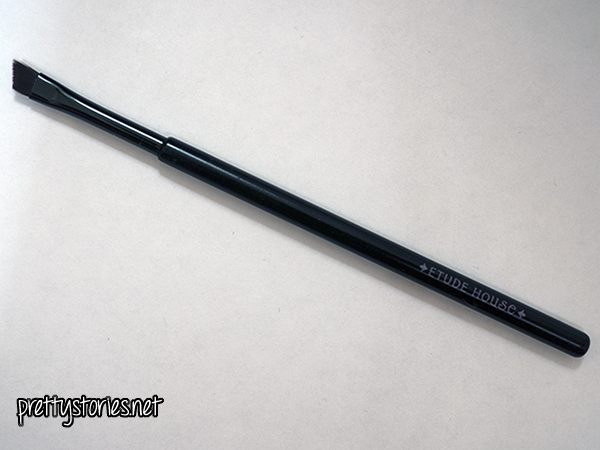 And the Etude House Oblique Line brush, which is mainly advertised for use with gel liners, is perfect for that. It’s really thin, but the bristles are firm, giving you really good control over application. It’s synthetic, so it’ll work with both cream and powder products. I personally use powders on my brows for a more toned-down look, especially when wearing minimal makeup because my eyes are so small. 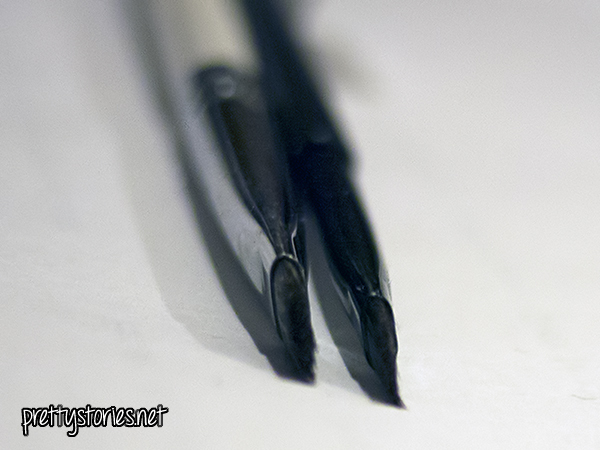 However I do add mixing medium when I’m sketching out a shape to tweeze around. 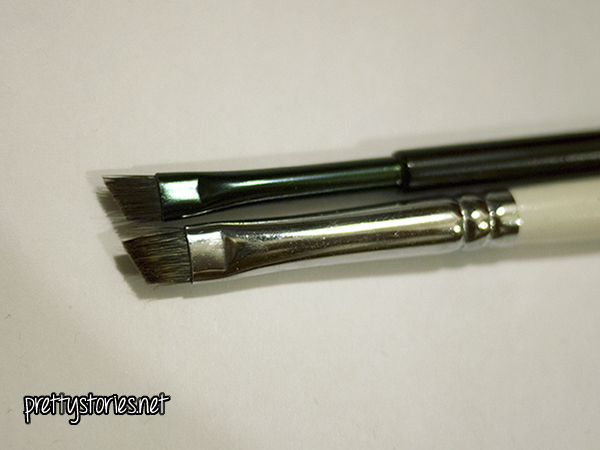 The brush I had been using before that is Obsessive Compulsive Cosmetics’ #009, which is also a fantastic brush but it’s a bit denser than the Etude House, so it’s a little harder to get thinner brows with it. I always had to be careful using it, otherwise my eyebrows would end up taking over my face. Sorry the quality isn’t the greatest (I need a good zoom lens!) but hopefully you get the idea. OCC brush on the left, Etude House on the right. The only downside to this brush is that it’s pretty flimsy – the handle is plastic and the ferrule on mine has already fallen off (I glued it back on). But buying replacements won’t break the bank, at least. And for its price, it really is worth it. You can find the Oblique Line brush at Etude House stores, or on eBay. « Year of the Pets!